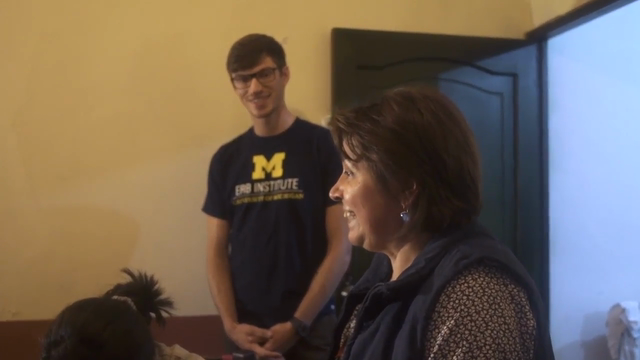 Earlier this year, Erb Institute student, Chris Owen, MBA/MS 2020, worked with Casa María Amor in Cuenca, Ecuador via an Erb Institute Impact Project. This video features such a project. Casa María Amor is a women’s shelter on the outskirts of Cuenca in the Andes Mountains. Chris conceived, developed and launched an Erb Impact project to help the women of Casa María Amor develop skills aimed at achieving economic independence after leaving abusive relationships. The Erb Institute for Business Sustainability is a world-renowned dual-degree (MBA/MS) program that provides the practical tools, management approaches and real-world experience that business sustainability professionals need to respond to today's complex global risks and opportunities. Click here to contact the Erb Institute!